Based on the popular Playstation game, Ratchet and Clank is the story of two unassuming intergalactic heroes and the adventures they encounter. 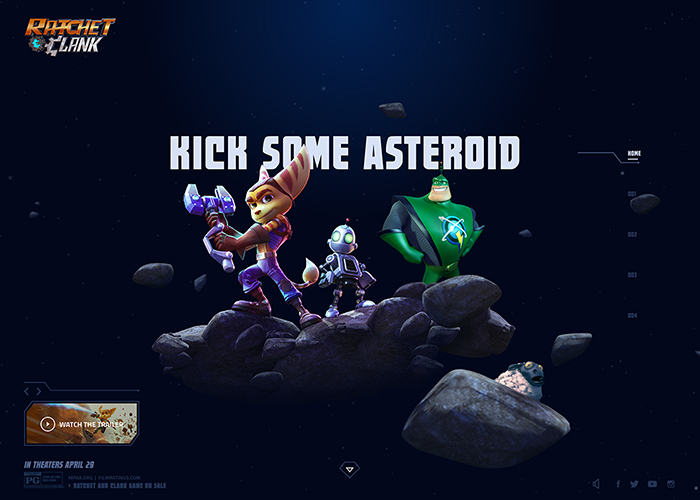 The film’s official site is an immersive reflection of their escapades, introducing users to excitement and intrigue of the Ratchet and Clank world. Using Web-GL, custom sound design and video interstitials, the site is incredibly interactive and elevates the film’s digital presence far beyond a standard promotional film site. With a custom mobile layout that incorporates Web-GL as well, the site presents a valuable experience for users across all devices.